Check out this fun street art by the Paper Twins that is just awesome. See more of their work on flickr -- couldn't find a website. 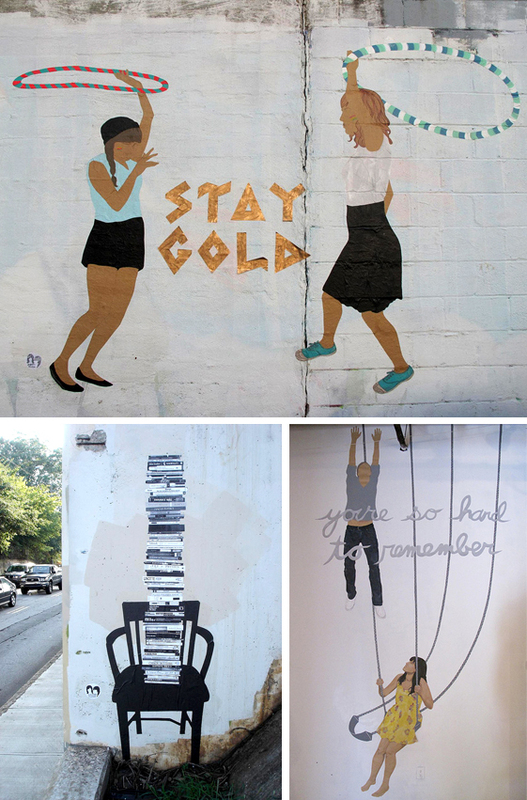 What type of street art do you like? Wow - thanks for sharing that! I really fell in love with their work!! i love the paper twins. hadn't seen the stay gold one yet- a new favorite! i love it! my personal favorites are banksy and shepherd fairy. i love this! i just came across this street artist in new york. it's pretty clever.